Here is the second edition of the best-selling, number one-rated business book that has transformed lives and businesses worldwide through five reprints. You’re too busy making money. No business can survive that. 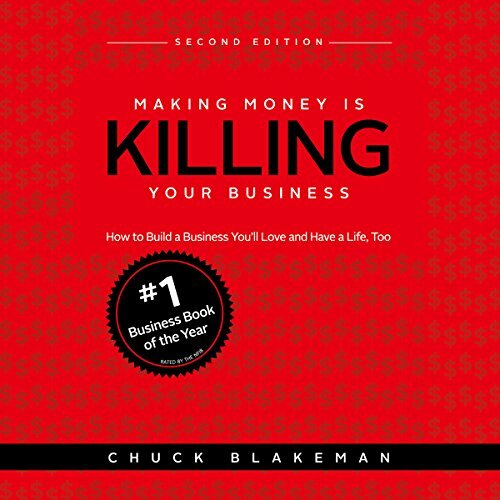 The second edition of Making Money is Killing Your Business is built on profoundly simple ideas that have been around forever and ignored as being too simple to work. Chuck Blakeman has learned the hard way that profound things are always simple. Practical tools such as the Four Building Blocks, Seven Stages of Business Ownership, Business Owner’s Game, Freedom Mapping, 2-Page Strategic Plan, Lifetime Goals and many others will revolutionize any business willing to give up complexity for effectiveness. Get off the treadmill. Making Money helps business owners move from a focus on trying to make money to building a business that does it for them when they are not around. It debunks the idea that small business is a 30-year grind and introduces the concept of building a business in just three to five years that runs itself. Making Money also replaces the traditional concept of retirement with using your business to quickly build your Ideal lifestyle, moving you and your business from survival through success to significance. Your business should produce both time and money, not just money. This book helps business owners make more money in less time, get back to the passion that brought them into business in the first place, and build a business they can enjoy for decades. Do you want to get off the treadmill? Listen to Making Money Is Killing Your Business and build a business you’ll love!